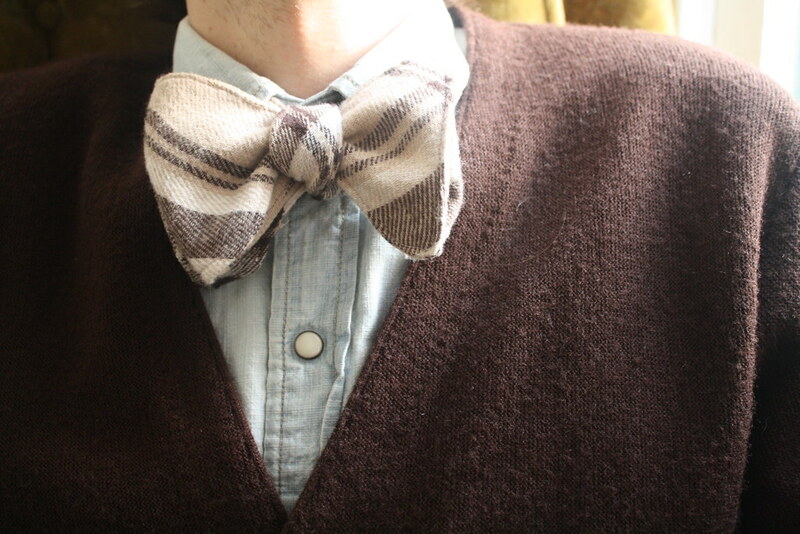 This weekend, I sewed a plaid wool bow tie from an old 1970s pattern! 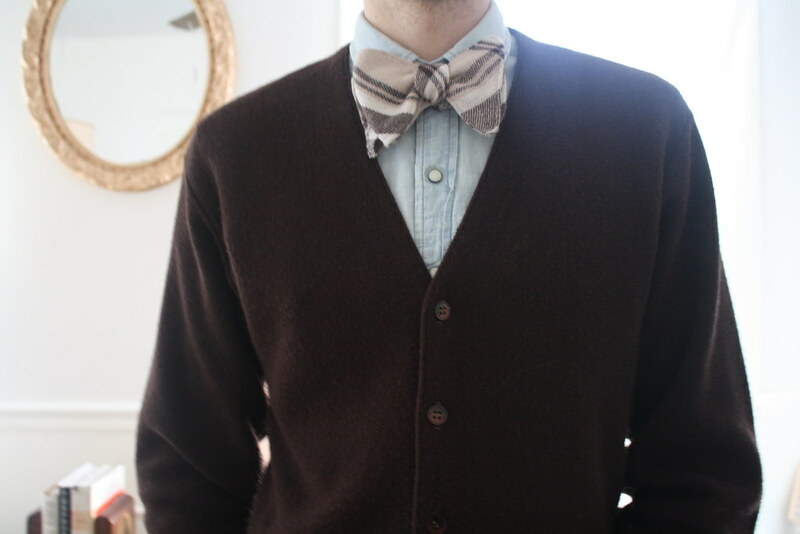 Sewing a bow tie is a quick and easy project.. not only that, but it requires so little fabric that it can be used with old button ups or scarves that you're ready to put into retirement. If a shirt has special significance to you but has seen its last days, why not make a bow tie out of the remaining fabric? 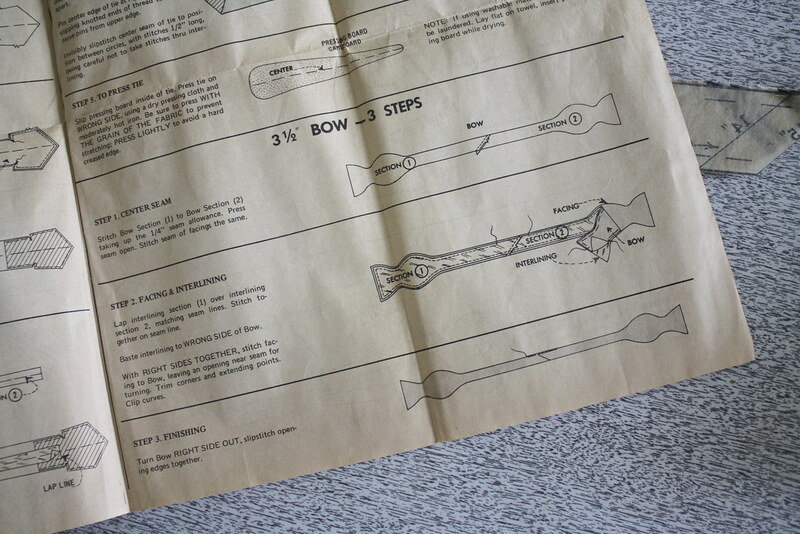 It's easy to draft a bow tie pattern piece, as well. Use a bow tie you own for reference or even search online for a free one.. sewing sites like BurdaStyle are great for complimentary patterns. 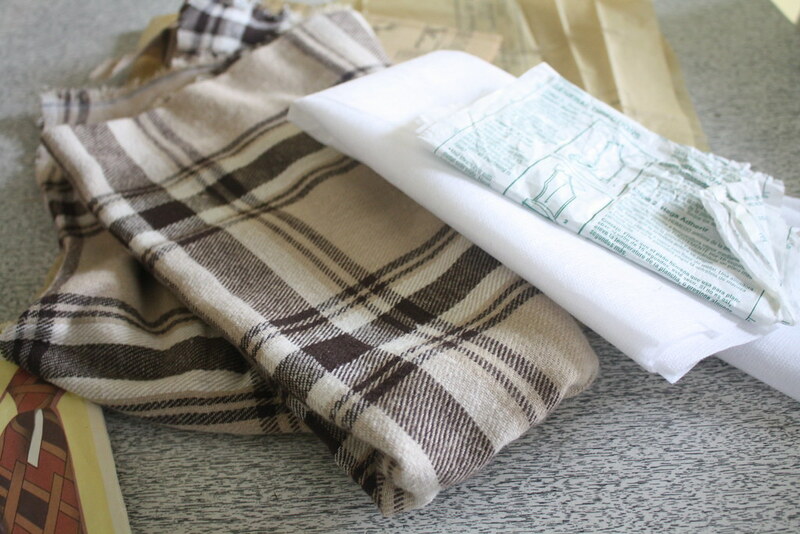 What you need for this project.. your pattern (or drafted piece), 1/2 yard of fabric (you won't use it all), the same amount of interfacing - slightly less thick than the fabric you're working with. 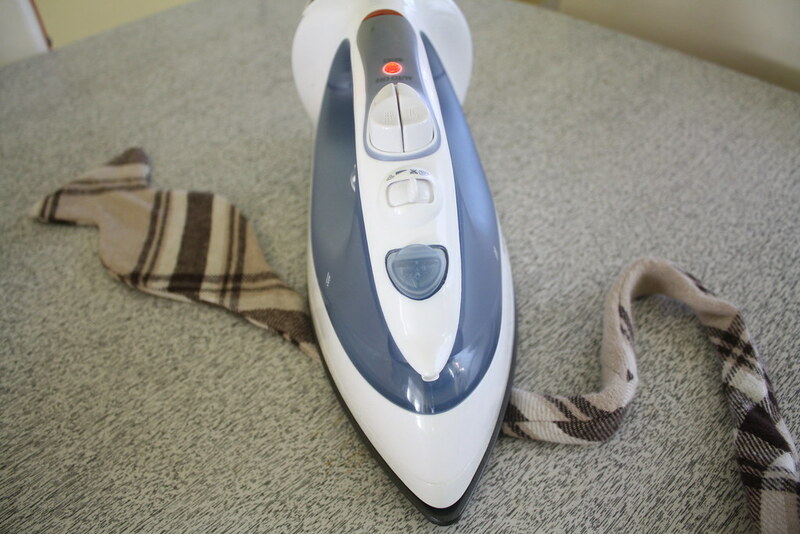 You'll also need a press cloth (100% lightweight cotton cloth for use in fusible interfacing), an iron, and a sewing machine with matching thread. Matching thread is important, since you'll be topstitching the tie and the stitches will show. It's also an option to topstitch in a contrasting thread, depending on the look you're going for. First step - cut out the pattern pieces and press them. 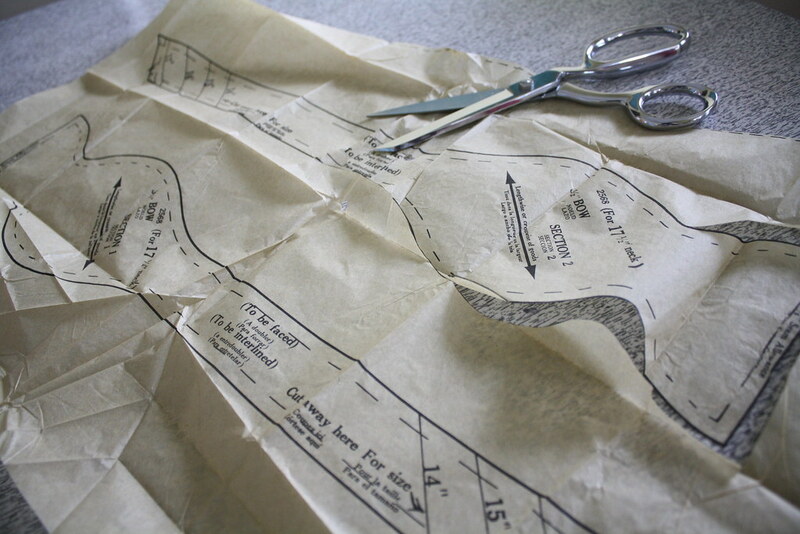 Then pin to your fabric (matching the way the instructions tell you to go with the grain of the fabric - it's important! 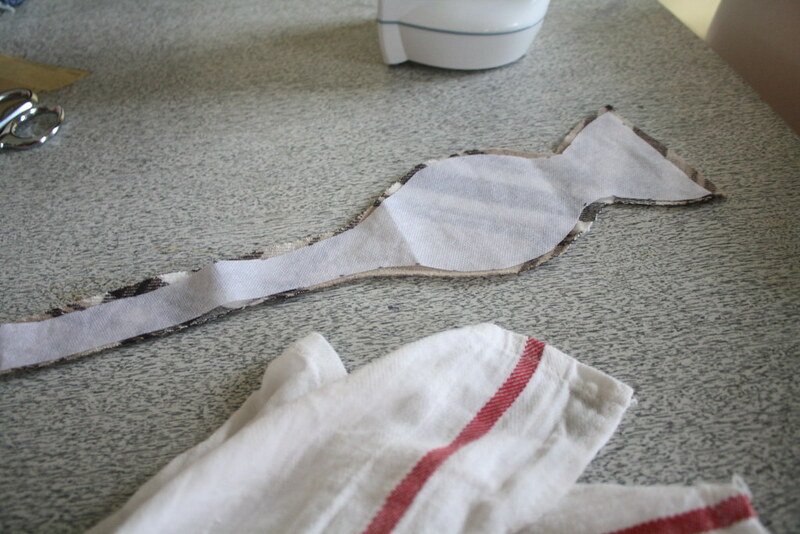 ), cut out the pieces, then repeat with interfacing. 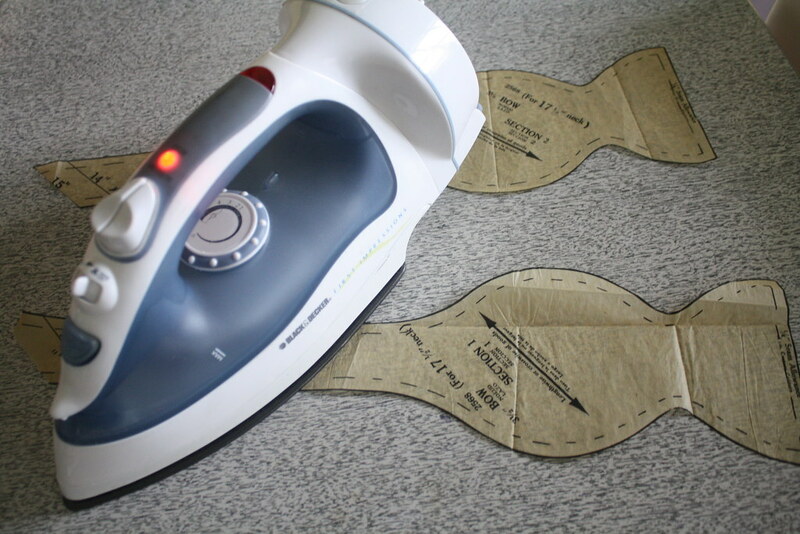 You'll need two layers of fabric per pattern piece and one layer of fusible interfacing per piece. 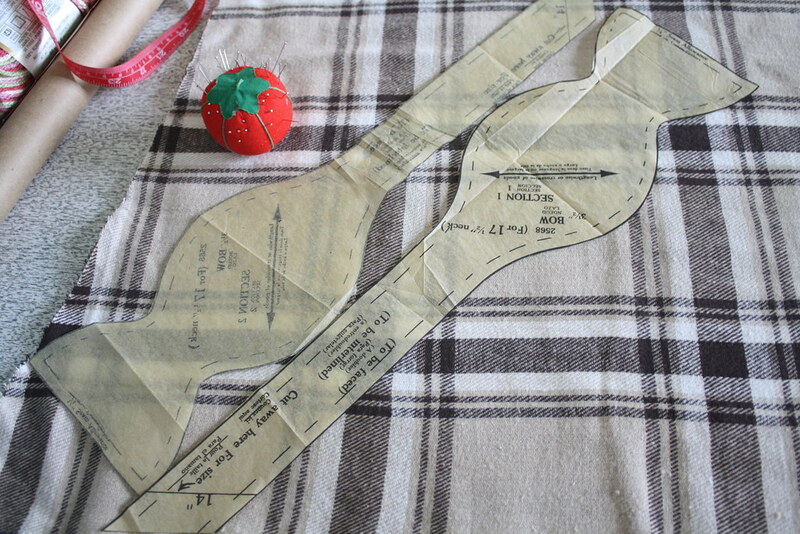 The pattern I'm using allowed for a 14 inch to 17 inch neck, depending on which line you cut at. I needed a 15 inch collar, so I cut at the appropriate line. Next step? 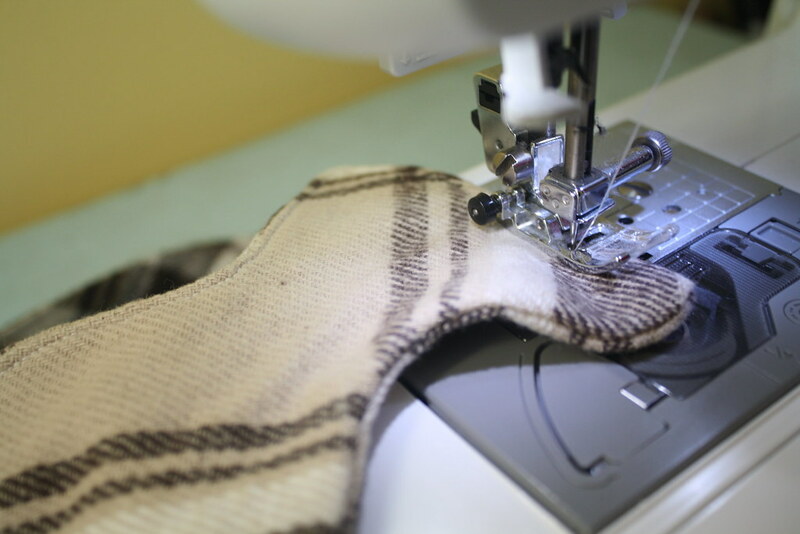 Sew the fabric pieces (section one and two) together at the middle, then press the seam open. Now, the bow tie is beginning to flesh out.. you will have two pieces that mirror one another. Once this is finished, it's time to use fusible interfacing. First, trim the interfacing at the seam allowance (in this case, 3/8 of an inch). 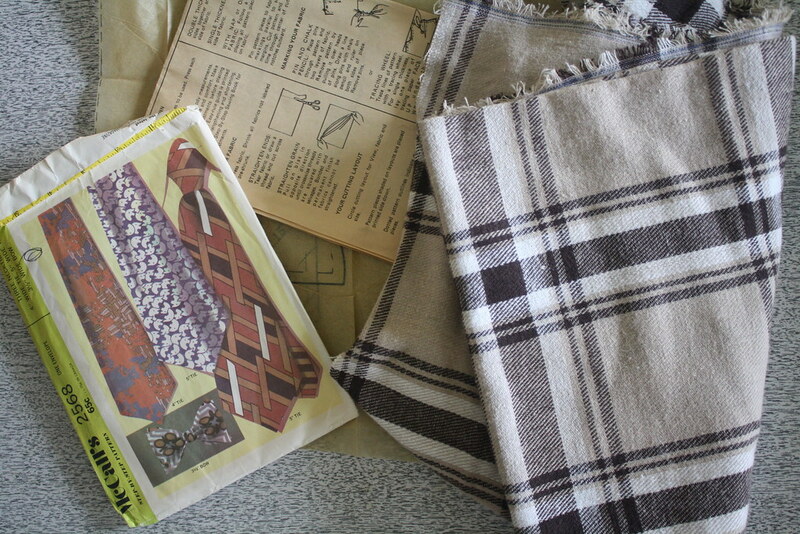 Next, take one of the fabric pieces and match the two interfacing pieces to it, inside of fabric to glue side of interfacing. 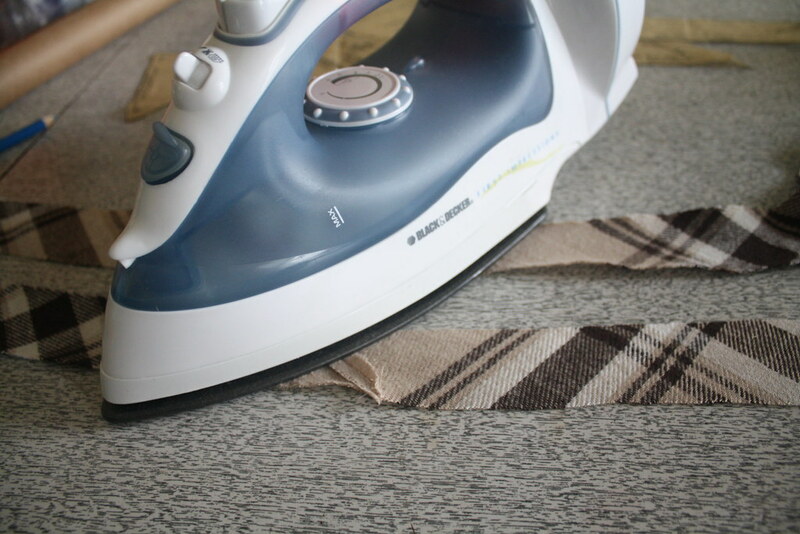 You'll then dampen the press cloth and lay it over the pieces, then press it with your iron until the press cloth is dry (about 15-20 seconds). 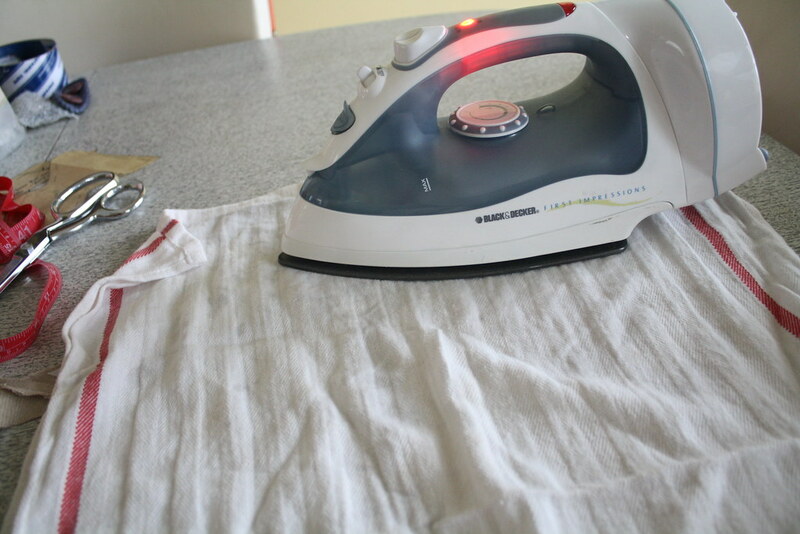 For more details on using fusible interfacing, go here. 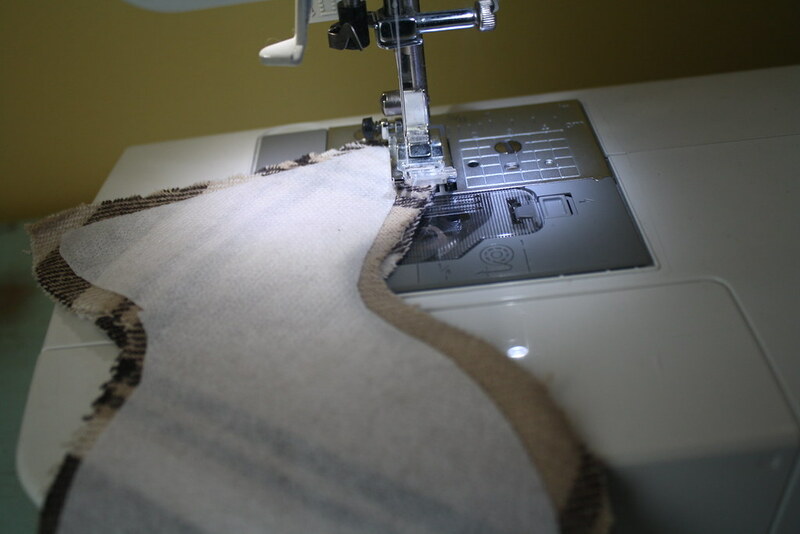 Once the interfacing is attached, you can sew the two pieces together! 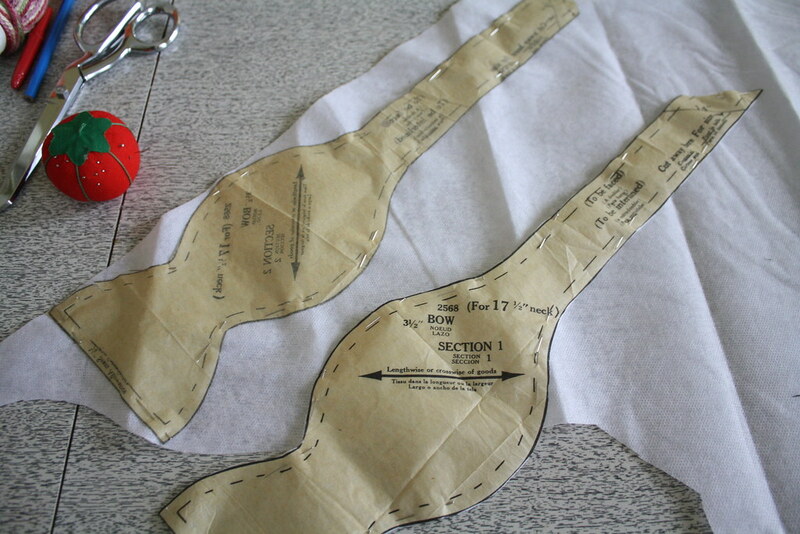 Line them up with right sides together and sew along the seam allowances. 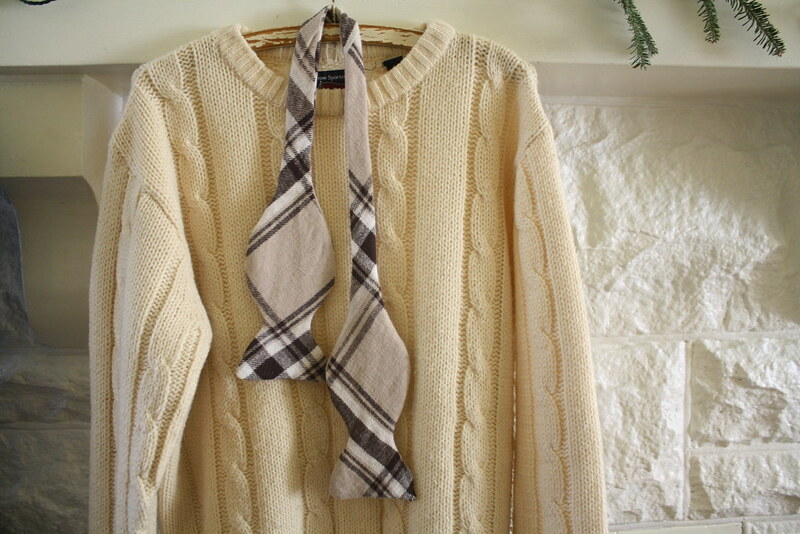 Leave a couple of inches of space so you can turn the bow tie inside out. Once the tie is turned right side out, sew the opening shut. Iron the bow tie. Then, it's time to topstitch! Sew along the outer edges.. I sewed about 1/4 inch away from the edge. This gives the bow tie a bit more of a professional finish. For next week's sewing project, I'll officially start my Valentine's Day dress! Thanks for all of your suggestions and advice.. with your help, I narrowed down my options and chose a fabric and dress style. More info next week!